Let me challenge you to add some podcasts to your life. In fact, many new podcasts have been washing up here on the beaches of the DoSomeDamage HQ. Must be the old pod tide we've been hearing about from the kids. Yesterday, the lovely and talented S.W. Lauden stopped by the DSD studios to pimp his latest podcast project, Books on the Bus. This will be Lauden's solo project, and you already know the work he and Eric Beetner have been doing with the Writer Types podcast. Earlier this week, Ben LeRoy and Amphetazine droped the 14th episode of the American Trash podcast, featuing an interview with Liberty Hardy of BookRiot. 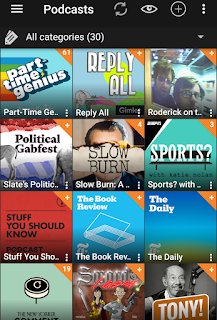 If you like books, this has been a great week for podcasts. You already know about The Defectives, hosted by Jay Stringer (DSD's co-founder) and Chantelle Aimée Osman, of Quick and Dirty fame. And don't forget the true-crime podcast The Long Dance, from Eryk Pruitt and company. Silverblatt is an impressive, insightful reader, often surprsing the author by noticing elements just under the surface or themes running through the book that the author hadn't consciously considered. David Sparks and Jason Snell spent their careers working for the establishment. Then one day, they’d had enough. Now they are independent workers, learning what it takes to succeed in the 21st century. They are… free agents. As Slate’s resident interrogator, Isaac Chotiner has tangled with Newt Gingrich and gotten personal with novelist Jonathan Franzen. Now he’s bringing his pointed and smart interview style to the new podcast “I Have to Ask.” Isaac will talk one-on-one with newsmakers, celebrities, and cultural icons to help us better understand them and our world. Tune in each week to learn whether you should be washing your bananas (you should), whether freezing your body is a better value than freezing just your head (it isn't), and what James Bond has to do with tax laws (everything!) in this podcast from HowStuffWorks. 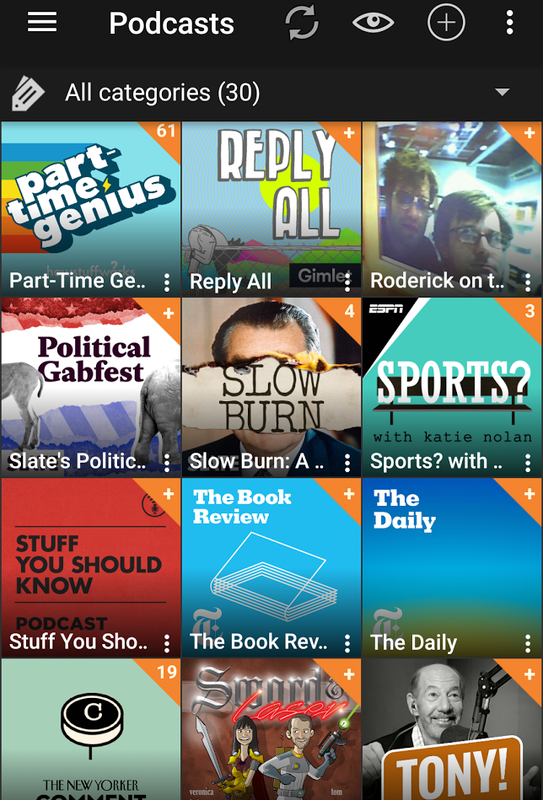 Reply All is an American podcast from Gimlet Media, hosted by PJ Vogt and Alex Goldman. It features stories about how people shape the internet, and how the internet shapes people. The Sword and Laser (a.k.a. Sword & Laser) is a science fiction and fantasy podcast, video show on YouTube, and book club founded by Tom Merritt and Veronica Belmont in October, 2007. A show about what you're not supposed to say. Thaddeus Russell, author of A Renegade History of the United States, interviews people who break the rules of conventional discourse and expand the realm of the possible. Now in its 12th season, Writing Excuses is a podcast hosted by authors Dan Wells, Brandon Sanderson, Mary Robinette Kowal and web cartoonist Howard Tayler. Promoted as "Fifteen minutes long, because you're in a hurry, and we're not that smart," the four hosts and guests discuss different topics involved in the creation and production of genre writing and webcomics. It’s podcast week at Do Some Damage!